When Eater DC invited me to participate in their 2018 year-end survey, I was eager to provide my input. Answering the questions becomes a delightful journey down memory lane. At the same time, it’s daunting, as I know my answers will appear alongside DC’s established food journalists. 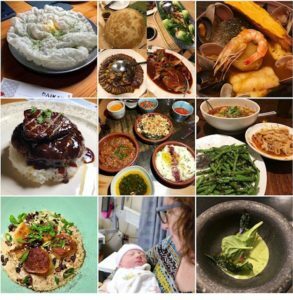 I took a stab at it from my perspective as an amateur observer- with my lens as a Montgomery County resident and someone who writes about Jewish food. Here are the questions posted by Eater DC, along with my responses. I’ve filled in more detail, since I was striving to be brief. More: Last year I made a resolution to do a better “job” (even though it’s not really my job) to keep up with trying new restaurants while continuing to patronize my established favorites. It was just too much to conquer with so many openings this year. I surrender. See my list of best new restaurants to see what I was able to accomplish. My response= So many great new restaurants this year. St. Anselm, Poca Madre, Fancy Radish, Spoken English, Nama, Reverie, Gravitas, Ellē. I should probably stop, but I’m sure I’m forgetting some. More: Yes, I did forget some. Most notably: Kuya Ja’s Lechon Belly- a Filipino fast casual restaurant in Rockville. I also left out Call Your Mother- but that’s because I included it in two other responses. My response= I can’t get enough of Himitsu, Bresca, Maydan, and All-Purpose. I just made it back to Convivial, and so glad that I did. Inferno Pizzeria Napoletana: I‘m going there tonight and it’s the second time in the last four weeks. More: After I submitted my survey responses to Eater DC, I dined at Centrolina, which I adore. In filling out the survey, I realize I haven’t been to Rose’s Luxury all year, which makes me sad. I did have a fabulous dinner at its sister restaurant, Little Pearl. It was a night devoted to seafood presented by Chefs Aaron Silverman and BJ Lieberman. 2019 will absolutely include at least one visit to Rose’s Luxury. I’m also eager to get back to fast casual restaurants Chiko and Rasa, two of my favorite newcomers last year. My response= Pineapple and Pearls. We sat at the bar. It’s all so elegant, but not too serious. Exceptional in every way. More: I should also have included Kith/Kin, which was such a wow meal. And I still can’t stop talking about our recent tasting menu experience at OCD in Tel Aviv. *If being referred to as a professional eater means I can get a tax deduction on all the restaurant meals I’ve had this year, I’ll take it. In truth, all this eating out is just an expensive, but very delicious hobby. My response= I keep hoping for more interesting dining options in Bethesda. So many restaurants, but so few that are truly enticing. Thankfully, things are looking up in Silver Spring and Rockville. More: I wish I could get more excited about dining in Bethesda. There are two prime spots open with the vacancies left by Kapnos Kouzina and Redwood Restaurant & Bar. The word from many restaurateurs is that Bethesda is too expensive and risky. I look forward to seeing what happens with both these spaces. In the meantime, my Bethesda standbys are Silver, True Food Kitchen, Duck, Duck, Goose, and Barrel and Crow. What am I missing? On the plus side, in Rockville we now have Julii and Nada in Pike and Rose, along with Kuya Ja, Akira Ramen & Izakaya, and Xi’an Gourmet. In Silver Spring I like Buena Vida and Urban Butcher, with Dish and Dram as an excellent option in Kensington. My response= Call Your Mother consistently attracting huge crowds of patrons from all over the D.C. area. The bagels are phenomenal, but who could anticipate that a “Jew-ish” deli in a very non-Jewish area would do so well? More: It was hard not to say the Mike Isabella story, but in all honesty, I knew that most of the other writers would include it in their response. I went with Call Your Mother, which is such a sensation in part due to owner Andrew Dana’s marketing savvy but when it comes down to it, it’s about their terrific bagels. My response= Shaw has such diversity and quality. It’s hard to beat a neighborhood that includes the Dabney, Kinship, Unconventional Diner, Tiger Fork, Hazel, Haikan, and Seylou Bakery. More: There’s so much happening at the Wharf right now with Kith/Kin, Kaliwa, and the new Tiki TNT, Officina, and Rappahannock Oyster Bar. Adam’s Morgan is booming too with the trio of restaurants at The Line Hotel, Tail Up Goat, and Lucky Buns to name a few. But what about NoMa with the just opened St. Anselm, a new location for Shouk, and the upcoming Coconut Club from Chef Adam Greenberg? This leads me back to my word of the year: frenetic. More: I leaned into my Jewish perspective. 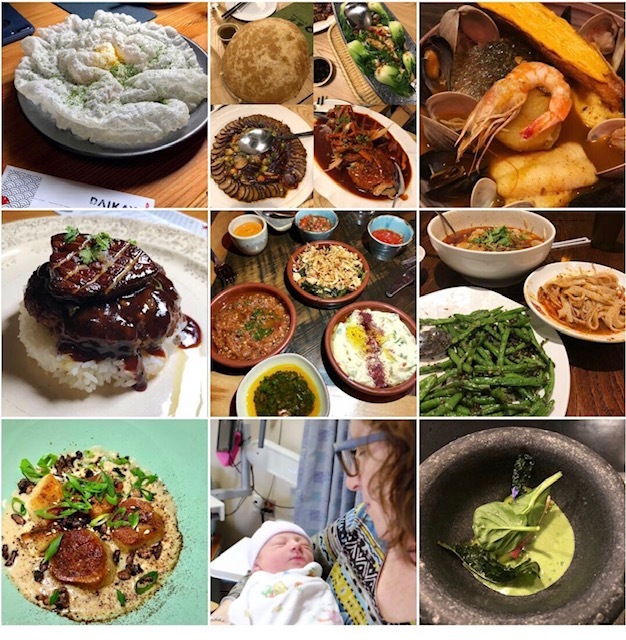 I would love to see Call Your Mother open in downtown Silver Spring, and Michael Solomonov has hinted that DC is an option for opening a restaurant. But I agree that a Nobel Prize for José Andrés is so well-deserved and would give us all something to cheer about. My new year’s resolutions: More sleep. More Exercise. Less food. Less social media. And finally, my top most liked posts on Instagram for 2018.